Elevator Pitch: Create, sign, send, and translate simple contracts on your phone in under one minute, in English or Spanish. Sometimes you need a contract, but hiring a lawyer is expensive and online templates aren’t personalized. Without a convenient solution, most people forgo this basic legal protection, which unfortunately increases the likelihood of scam or fraud. No written record means it’s hard to prove what terms were agreed upon and disputes often come down to a ‘he said, she said’ battle, the sorts of which you see on Judge Judy. 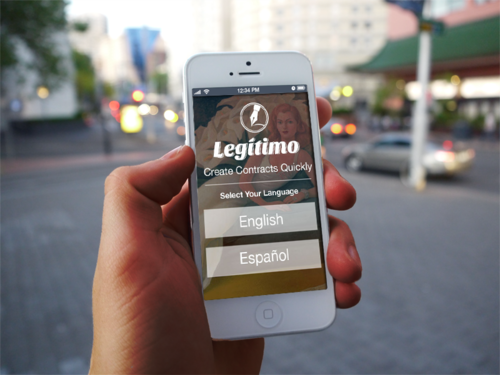 Legitimo solves this problem with an Android/iPhone app that makes it easy to create, sign and send personalized agreements on mobile devices in seconds. Additionally, Legitimo translates contracts into other languages, allowing people that don’t speak the same language (or people that just don’t speak English for that matter) to enter into legally-binding agreements. Currently, the app supports English and Spanish and can be used for simple transactions such as selling and buying goods, hiring for and providing services, borrowing and lending money, and leasing properties. It began with a frantic phone call from Julia Ulloa, a middle schooler I mentor in Los Angeles. Angrily, she explained how her family recently got ripped off for her quinceañera party. The venue they had rented was a complete mess and understaffed, the band left early and everything was out of order. Basically, Julia’s special day was ruined, and any hope for restitution was doubtful because Julia’s family did not sign any written agreements, making it difficult to prove what exactly was agreed upon. Upon hearing this story, I envisioned an app that would give ordinary people free legal protection by helping them create simple, and legally binding, contracts on the go. Some months later, that vision was realized at ‘El Hackathon,’ sponsored by LATISM. Twenty-four grueling hours later, we walked away with the grand prize and a prototype of what would quickly become our obsession. In addition to traditional app marketing methods, we plan on connecting with thought leaders, advocates, and organizations in the Latino community. We already have allies, such as Ana Roca Castro, founder of LATISM, who has said: “Too often our people are victims of fraud due to the lack of a proper contract that spells out the terms of an agreement in plain English or Spanish. 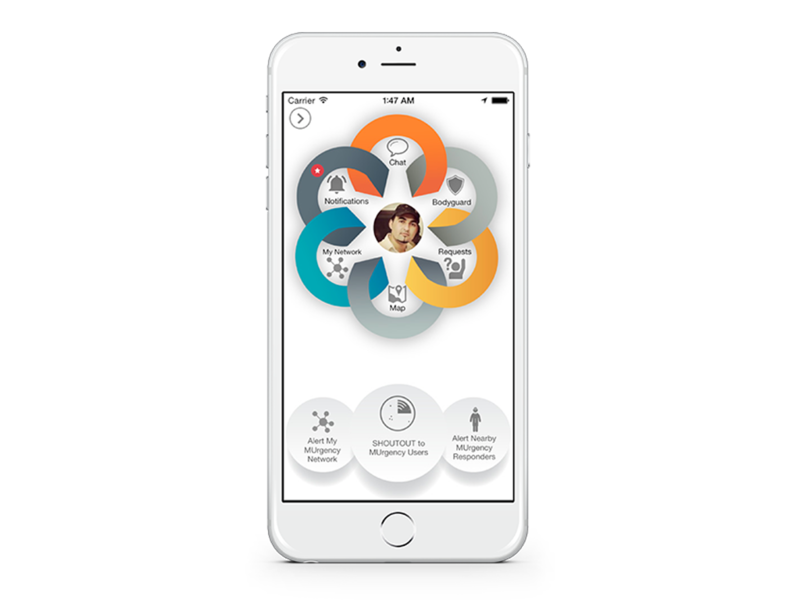 Legitimo will serve a great market need within and beyond the Latino community.” Guerrilla efforts will also be employed, such as leveraging platforms with potential users (e.g. Craigslist). The Legitimo team at the LATISM hackathon. There are over 60 million Americans, and many more people abroad, that regularly engage in informal economies that are largely cash-based, making it difficult to take legal action should something go wrong. This is a huge problem because people end up losing money with no remedy. With a pain point this obvious and increasing demand for a solution, it’s inevitable that something like Legitimo will make its way into the market. Unlike our competitors, Legitimo supports multiple languages and is available outside the U.S. As more languages are added, we plan on positioning ourselves as a Rosetta Stone for legal contracts and becoming a global force. We’re initially targeting the Latino market because they are the fastest growing demographic in the U.S. with the highest rates of smartphone usage. Capturing brand loyalty at this critical time will be important. We plan to explore several business models before scaling, such as offering premium contract services or promoting service provider listings to users. We are currently looking to raise a Seed round, and are recruiting talented marketers.